Family is the basis and cornerstone of every social structure in society. Without family, we don't have a sense of community and strong neighborhoods. Families are made up of individuals who struggle with their own unique challenges, but each individual in a family learns how to navigate and cope with one another's challenges. And we don't always get to choose our family and their struggles, which adds to the interesting relationship qualities of family. Learning about communication, how to manage emotions and overcome problems together as a family while at the same time striving for individual recognition and getting personal needs met is sometimes extremely difficult. Add to that, trying to survive in one's environment with friends, neighbors, other family members, finances, bills, politics, religion, personal time, relationship struggles, finding the best way to raise children, work, school, housing needs, medical issues, overcoming mental health struggles, dealing with past trauma...All of this can be overwhelming, confusing, and seemingly difficult to manage. 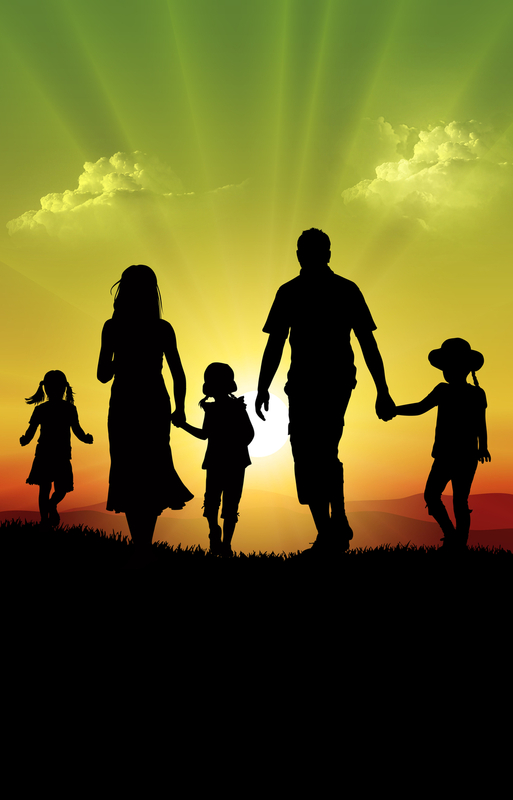 Family therapy is about working through these challenges and balancing individual needs with the needs of the family. Provide therapy for the whole family to address communication issues and balance individual needs with family needs. Provide assistance to parents to enhance parenting skills with children and adolescents. Utilize therapy with children to help develop skills to help manage emotions and behaviors. With most family work, there is a mixture of all three approaches. Rarely will I work only with a child, without also working with parents around supporting the child in what they are learning in sessions. Sometimes parents just need some extra tools to help manage behaviors or support a child through a difficult time. Children do not come with instructions or manuals. We always say that you are likely going to get the child who is going to challenge you the most, whether you think you are prepared for them or not. We learn to parent from the family, culture and society that we group up in. Sometimes those things that we learned were not always the best and can sometimes be difficult to change or overcome. That is where we can help you as parent(s) to explore what is working or not working, and find other ways through collaborative parenting, precepts of Love and Logic, Family Systems Therapy, and the Family Check up Model to work with children in a way that fits best for you and them. We will work with your child one-on-one to help work through difficult behaviors and emotional struggles. This includes children with symptoms of talking back, defiance, aggressive behaviors, anger outbursts, struggles with expressing emotions verbally, tantrums, hyperactivity, impulsive behaviors, attention issues and with any history of sexual, physical or emotional trauma. Just know that if we are working with your child one-on-one, that also means that we will be working with you as parent(s) to ensure that you know what techniques to use to support your child at home, school and in the community.